レッスン開始までの流れ English Skype Lessons. Language Lessons over Skype or phone. Gala University offers Language courses in English, French, Spanish, German, Italian, Russian, Hebrew, Chinese and Japanese. 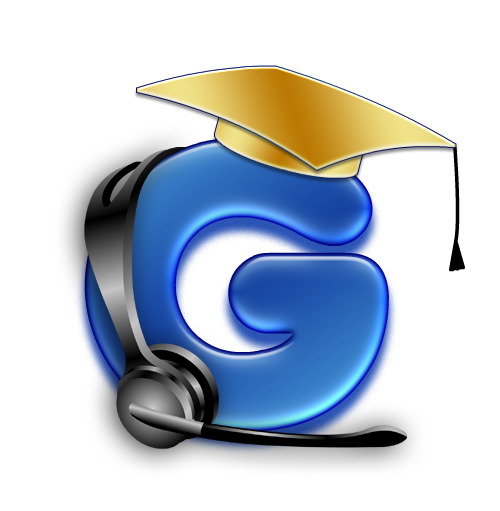 Gala University is a revolutionary concept in language teaching, which puts you, the learner, in control. Basic Conversational Lessons Learn English/Hebrew/Russian/Spanish/Japanese online-interactive lessons with native teachears that really teach you to speak. Learning languages on the internet or phone can now be fun and easy! You will learn to speak - Guaranteed. For the beginner's study with bilingual teachers, learn how to speak in complete sentences and actually communicate. TOEFL/IELTS Exclusive in every aspect - from our top-rated instructors to a TOEFL or IELTS test preparation course that will be custom-designed just for you. Get the most out of the time you have to prep with this specialized program. Your tutor from USA, United Kingdom or Canada will work with you to ensure you learn the skills you need to master the TOEFL/IELTS test. Accent Reduction - Communication can become a problem if the accent is not correct. We teach you the correct pronunciation, thus reducing your accent. Listening to, and speaking with native speaking teachers is the best way to reduce your accent. They will identify any problems, and help you correct them. This is a professional service, which provides excellent results. Teleclasses are a great way to take a class without leaving your office or your home. Get the newest version here. We recommend you to upgrade to the latest version. Save time, cut costs and study smart. 1- Make sure the room you are in for the call is as quiet as possible. Background noise makes it very difficult for everyone to hear the call. 2 - Call in or wait for a call 5 minutes BEFORE the class is due to start, to ensure that you are there on time, so we can begin promptly. 3 - If you have a "privacy" button on your phone, we recommend using it to keep down excess noise, unless you are interacting with the call. 4 - Have a pen and paper handy for taking notes. It's much quieter than typing your notes. 5 - If you have a headset compatible telephone, USE the headset. It will be much more comfortable.